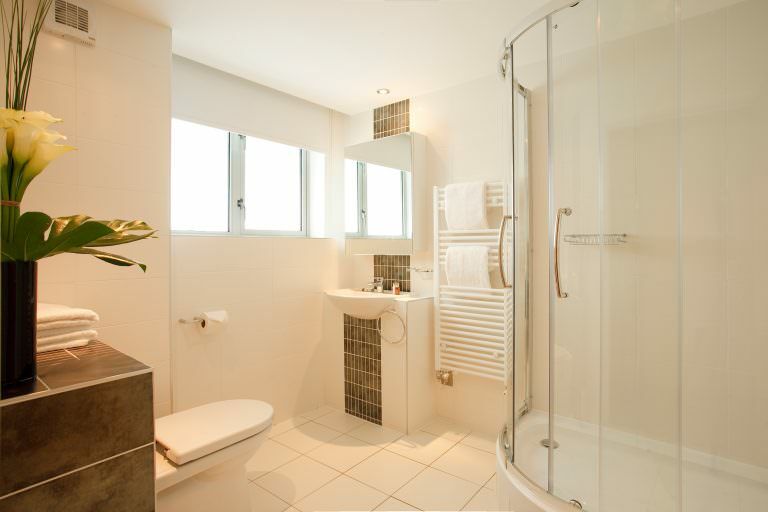 These conditions govern all bookings made with SACO The Serviced Apartment Company Limited (“SACO” us we) registered in England under number 07638220 whose registered office is at 7 Whiteladies Road, Clifton, Bristol BS8 1NN. You (you the booker and all members of your party collectively called the guests) accept these conditions yourself and on behalf of all members of your party whether you are booking as a guest or on behalf of others. In addition by visiting or using our website you agree to comply with the Site Terms. In respect of all bookings relating to apartments not operated by us, we act as an introductory agent on behalf of our preferred suppliers. Your contract for such bookings will be with the actual preferred supplier. All such bookings will be also subject to the relevant preferred supplier’s conditions. You will be notified at the time of booking if further preferred supplier conditions also apply. Any booking, howsoever made, will only come into existence when payment has been made in full and your confirmation has been dispatched by us. Restrictions may apply in certain locations including, but not limited to, minimum night stay and age restrictions; you will be advised of these at the time of booking where applicable. We reserve the right to refuse any booking at any time. All guest names and contact telephone numbers are required at the time of booking including whether they are adults or minors. As soon as your confirmation and invoice are received, please check the details carefully. If anything is not correct you should tell us immediately. However, we regret we cannot accept any liability if we are not notified of any inaccuracy in the documentation. If there is an error in the confirmation or invoice, we reserve the right to correct it as soon as we become aware of it and will do so within 7 days of issue of the confirmation or invoice or, if your arrival date is within 7 days of booking, no later than 24 hours before your arrival date. We will endeavour to do everything we can to help guests with special requirements. Please ensure we are made aware in writing, of any special requirements at time of booking so we can help you select the most suitable apartment for your needs. Although we will endeavour to meet any reasonable requests no guarantees can be given that any request will be met. Conditional bookings cannot be accepted i.e. any booking which is specified to be conditional on the fulfilment of a particular request. Access Statements are available for all SACO properties; please ask us for a copy if required. A transaction fee of 3.25% on the total payable will apply to Diners Club and American Express Card (Amex) and 1.75% to Visa Credit Card and MasterCard payments. There is no transaction fee on Visa Debit Card or Maestro/ Solo payments. Credit card details must match the security checks. We may pass your debit/credit card details to a third party to process any payments. Credit card fees are not refundable in any circumstances. Company Cheque: payable to ‘SACO – The Serviced Apartment Company Limited’. Bank Transfer: (bank details are available on request). A Security Deposit to cover additional charges ( see cl.12), including breakages, damages, extra cleaning and further accommodation charges incurred during your stay, may be taken and you will be advised whether this is payable at the time of booking or on arrival at the apartment. Valid credit/debit card details must be supplied at the time of booking and/or upon arrival at the apartments to cover additional charges (see cl.12.). These may be payable direct to the preferred supplier in some instances. These charges will be deducted from any Security Deposit held or from a debit/credit card supplied and any balance on the security deposit will be refunded. A written statement of the additional charges will be sent to you. In the event that payment under a debit/credit card is declined, or no card details are provided, we reserve the right to invoice the booker or guest direct for these charges. If you wish to change any detail of your confirmed booking we will do our best to make the change subject to an administration fee of Â£30 plus VAT per booking which will be payable to us once any change has been made together with any other resulting costs which may result in an increase or decrease in rate depending on the date and length of stay. Changes to the arrival date to later than the original date confirmed will be treated as a cancellation under Clause 4.4 and 4.5 below. All changes of date are subject to availability. Should any change be rejected, the original booking will be re-instated. Name changes or child age changes will not incur any charges or administration fee. Our cancellation policy is set out below; however, where we act as agent for a preferred supplier their cancellation policy may differ from our own. The specific cancellation policy should be requested at the time of booking and will be stated on the confirmation. SACO reserves the right to treat an early departure or reduction in the number of nights or apartments booked as a cancellation and apartments may be re- let and cancellation charges will apply. Non-arrivals will be treated as a cancellation and you will not be entitled to any refunds. Please note that transaction fees are not refundable in the event of a cancellation. These notice periods also apply to early departure, postponed arrival or reduction in the number of minimum nights’ stay. For group bookings the minimum notice period and the cancellation charge per apartment, regardless of length of stay, is the same as for stays of 28 + nights (see below). We do not expect to have to make any changes to your booking however occasionally bookings have to be changed or cancelled or errors in information or other details corrected and we reserve the right to do so. If this does happen, we will contact you by telephone or email where reasonably possible. If a change has to be made or your booking has to be cancelled we will, if possible, offer you an alternative apartment of similar type and standard in a similar location for the same period. If the alternative apartment is advertised at a lower price, you will receive a refund of the price difference. 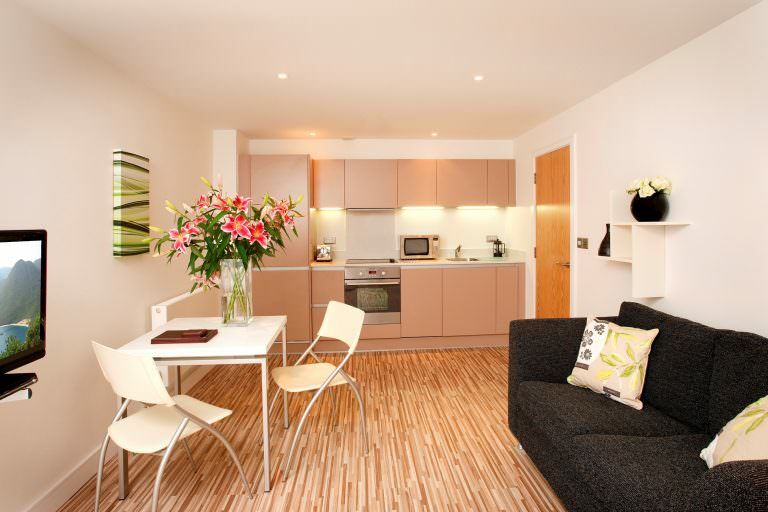 However if the alternative apartment is at a higher price the new price will be payable. If you do not wish to accept a change or any alternative apartment offered or we cannot offer you a suitable alternative apartment, you may be entitled to cancel your booking and receive a refund unless this is the result of an Event beyond our Control, see below. You should tell us as soon as possible whether you wish to accept any change or alternative apartment offered or alternatively if you want a refund. We are responsible for our own operated apartments, subject to these conditions. We act as agent for our preferred suppliers and, other than our general management and booking obligations detailed in these conditions, we shall not be liable to any party for any amounts in relation to any acts or omissions or any damage or problem arising under or in relation to that contract with the relevant preferred supplier. If you are booking for, as or on behalf of a business or business employee, that business shall indemnify us against all liabilities, costs, expenses, damages and losses (including any direct or indirect consequential losses, loss of profit, loss of reputation and all interest, penalties and legal and other reasonable professional costs and expenses) suffered or incurred by us arising out of or in connection with your, or your business, breach or negligent performance or non-performance of these terms and conditions. If you are booking for, as, or on behalf of a business or business employee, our total liability in contract, tort (including negligence or breach of statutory duty), misrepresentation, restitution or otherwise arising in connection with the performance or contemplated performance of your booking shall be limited to the fees paid to us under your booking. 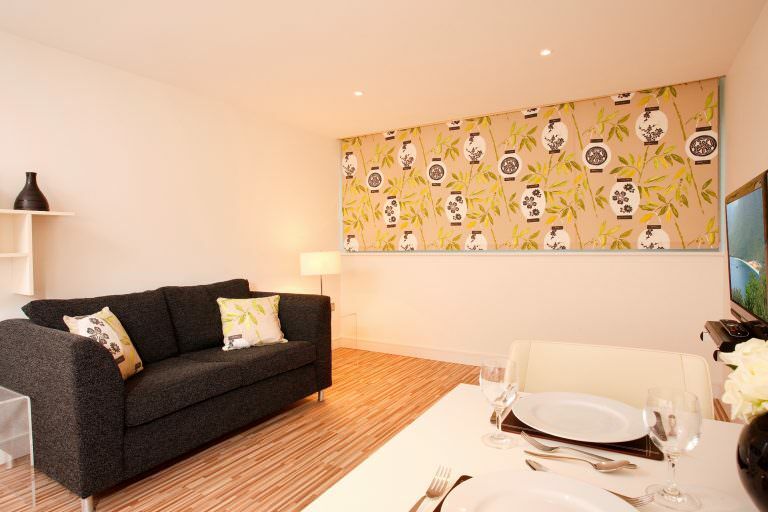 Apartments are available from 4pm on the day of arrival to 11am on the day of departure. Early arrival or late departure may be available for an additional charge but cannot be guaranteed unless booked from the night before arrival or for the night after departure. Key collection details will be provided to you (via your booker where applicable) prior to arrival. Many apartments do not have reception desks and you will be given a code to enter the building and details of key collection once your booking is confirmed. It is essential that you have this information with you on arrival and, where notified, contact us in advance to confirm the arrival procedure. The following information applies to SACO operated apartments but will vary at preferred supplier apartments. Further information is available on our website, from our reservations team or on arrival. Cleaning: Your apartment is cleaned weekly. The day your cleaning is scheduled will be advised on arrival. Weekly housekeeping includes linen/towel change and general cleaning. Maintenance: Routine maintenance is carried out regularly by our Management team; however, occasionally we may need access to your apartment to carry out essential maintenance. We will normally give you 24hours notice except in the event of an emergency when we require immediate access. Telephone: Where telephones are provided in apartments guests are responsible for all call charges incurred during their stay. In some cases the call charges are provided by a third party supplier and guests are responsible for setting up an account with the provider direct. Where applicable, information is provided in the Guest Information Folder in the apartment. Internet Access: Where access is available in apartments, it may be charged for separately. Information about Internet access will be provided at time of booking and on arrival. Access is subject to the SACO acceptable use policy which in the interest of fairness and to ensure the best service for all guests limits the data download to a maximum limit of 1GB (1024MB) per day. If this limit is exceeded SACO reserves the right to impose a charge for excess use see Clause 12.1 Additional Charges. At peak times the bandwidth available for connection to the Internet may be under pressure due to the number of people connecting to the Internet, both internally and externally. SACO recommends that activities requiring increased bandwidth such as Skype, Movie/TV streaming is limited at these times. A support service is available to assist guests connecting to the Internet but if in SACO’s opinion the fault is deemed to be with the guest’s equipment no support can be provided. Guests must not interfere, move or disconnect any equipment relating to the provision of the Internet access and must not use the connection for any illegal or immoral purpose (including but not limited to file sharing) and SACO reserve the right to pass on any record to the authorities should SACO be made aware of any such use. SACO reserves the right to disconnect a guest at any time without notice if, in SACO’s opinion they breach any of these terms and conditions (including exceeding the download limit) or fail to pay for the connection at the agreed rate. Security: Guests will be provided with a set of keys/fobs/access card to access the property and the apartment. Additional sets can be provided on request. It is your responsibility to ensure you are in possession of these at all times and that they are returned at the end of your stay. An additional charge will be made for replacements and if we are required to provide access due to lost or forgotten keys. Interruption to services: We will make every effort to ensure that guests enjoy a peaceful stay, however, cannot guarantee or be held responsible for any failure or interruption of services to the apartment or the building, including electricity, air conditioning, water or any damage to telephone, broadband/ internet and other communications, including disruption or noise caused as a result of repair works being carried out in another part of the property. Where we are made aware of such failure or interruption we will endeavour to rectify such services within a reasonable period of time at our apartments, and will use reasonable endeavours to ensure any preferred supplier is made aware of, and rectifies, such problems within a reasonable period. 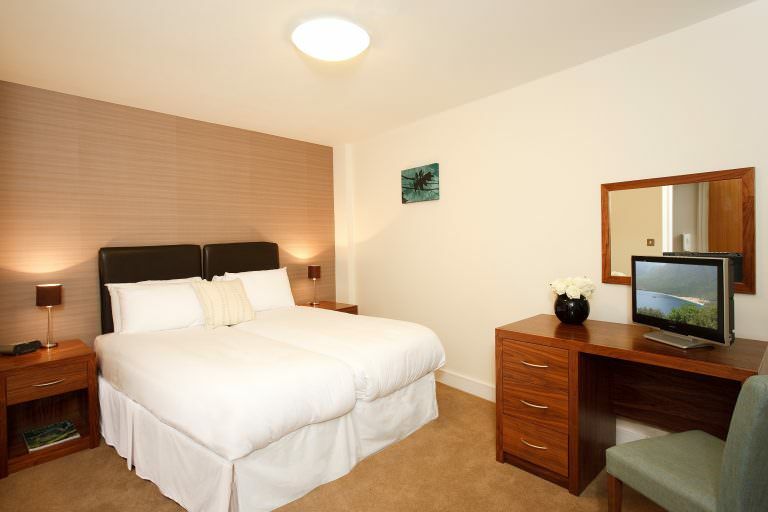 Management Services: Our Management team is available to ensure your stay is as comfortable and enjoyable as possible. Contact details and working hours are made available on arrival. Guests are expected to comply with any regulations for use of the apartment. These are available on arrival usually in the Guest Information Folder, in the apartment. If any guest breaches any of these conditions or the regulations, we reserve the right to request a guest vacate their apartment immediately without refund. Smoking: Smoking is not permitted in any apartment or apartment building. Pets: Pets are not allowed in any apartment or apartment building. Nuisance: Guests are required to behave in a responsible manner, respect the apartment and their fellow guests and keep noise to a minimum between the hours of 10pm and 7am. This includes causing any sort of nuisance or disruption to fellow guests or using threatening or abusive behaviour towards a member of staff on the phone, in writing or in person. Guests are not permitted to use the apartment for any illegal or immoral purposes. An additional charge will be made if the Management team is called out in response to a nuisance complaint. Age Restrictions: In order to ensure our guests enjoy a stay free from disturbance, at SACO operated apartments, non-corporate bookings may not be accepted from any paying guests under the age of 25. Proof of identification and date of birth may be requested on arrival and if not presented on request, we reserve the right to cancel the booking. Visitors: Guests are responsible for their visitors. Non-residents will not be allowed access to the apartments after 11pm and we operate a strict no party policy. Damage: Guests are required to keep the apartment, furniture, fittings and effects in the same condition as on arrival. Inventories and condition reports can be provided at the start and end of the stay, if required, at an additional cost. You are required to notify us of any damage, loss or broken items or matters requiring general maintenance. Any damage to the apartment will be charged in full. In the event that these are discovered after departure we will notify you or the booker within 7 days of departure with full details and where possible photographic evidence. 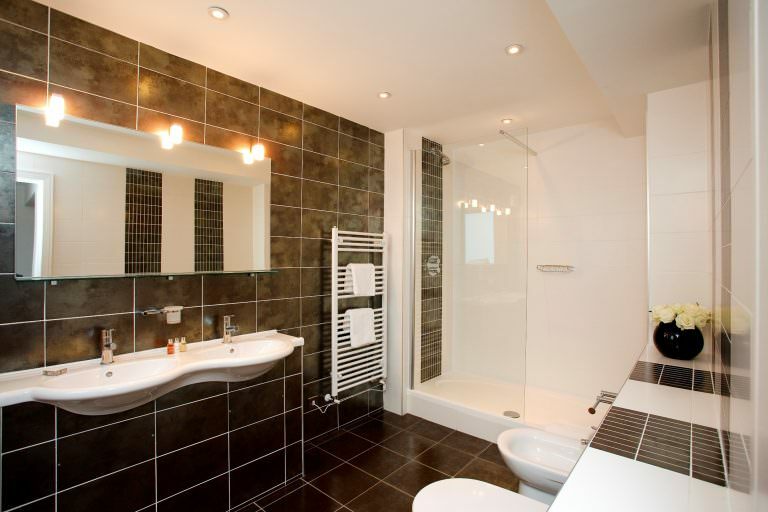 Cleanliness: We expect the apartments to be left in a reasonable state of cleanliness and order on departure. An additional charge will be made for extra cleaning or specialist cleaning to return the apartment to a fit state for occupation. Additional charges may include compensation for loss of revenue in addition to cleaning and repairs. Lost Property: All your possessions should be removed from the apartment on the date of departure. We will use reasonable endeavours to retain any lost items for up to 3 months after your departure date. Email: operations@sacoapartments.com for enquiries relating to lost items. Storage: Where facilities are available and at the owners risk storage of luggage may be provided at an additional charge. Broadband charges including data download exceeding 1GB (1024MB) per day – £250 per week or part of week. We take the health and safety of all our guests seriously. On arrival you should familiarise yourself with the layout of the apartment and building and the health and safety procedures as detailed in your apartment. Where SACO acts as agent for a preferred supplier, we do not warrant that in booking these apartments on your behalf, that it is managed in accordance with local and national laws including health and safety. You also understand that although a preferred supplier may comply with local and national laws, the rights and remedies under such laws may be different to that of England and Wales. We are committed to providing quality accommodation and conduct regular audits to ensure that high standards are maintained at the apartments. 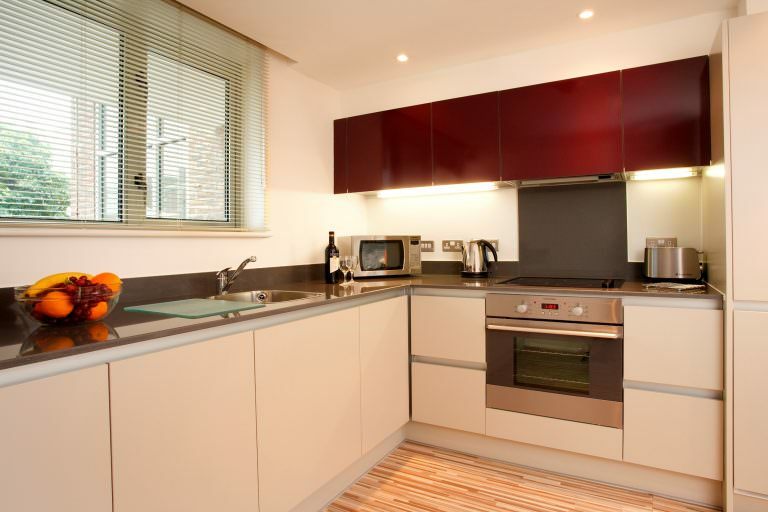 Many of the apartments are also independently assessed through the Visit Britain Quality in Tourism scheme and details of the star ratings awarded can be found on our website. We also welcome feedback from our guests and ask them to complete a guest satisfaction survey on departure. We value this feedback which provides us with useful information on how we can improve our services further. In the unlikely event that you are dissatisfied with any aspect of your accommodation please notify the apartment manager as soon as possible in the first instance. If you do not give us the opportunity to resolve a problem during your stay, this may affect the final outcome of any complaint received. We aim to deliver the best possible customer service, but in the unlikely event that you are dissatisfied with our service, please contact us by email to operations@sacoapartments.com, write to Guest Services, SACO, 7 Whiteladies Road, Bristol BS8 1NN, or you can call us on 0117 970 6999. 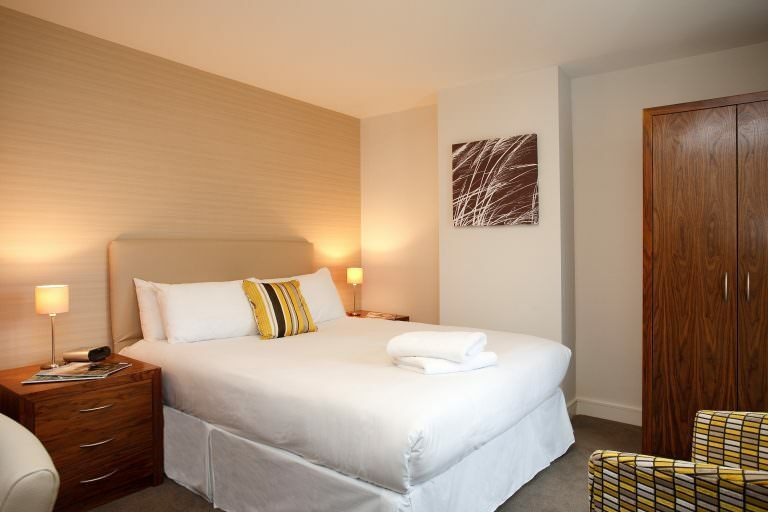 Less than a 15 minutes taxi or tube ride from King's Cross and St Pancras International railway stations, the SACO Holborn - Lamb's Conduit St serviced apartments are a handy Central London base. In 6 minutes you can walk from the aparthotel to Russell Square tube station. In Travelcard Zone 1, the station is on the Piccadilly line between Holborn and King's Cross St Pancras. 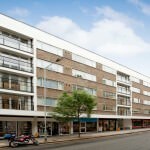 If you fancy staying closer to your London home from home however, the flats are ideally placed to explore Bloomsbury and just a stone's throw from the West End, the city's theatre district is practically on your doorstep. 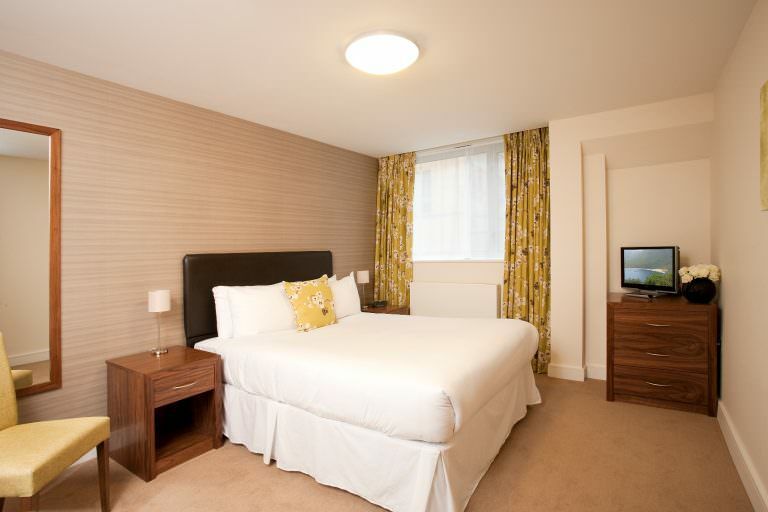 The studio and one bedroom apartments sleep up to 2 guests whilst the two bedroom (standard and superior options available) sleep up to four. 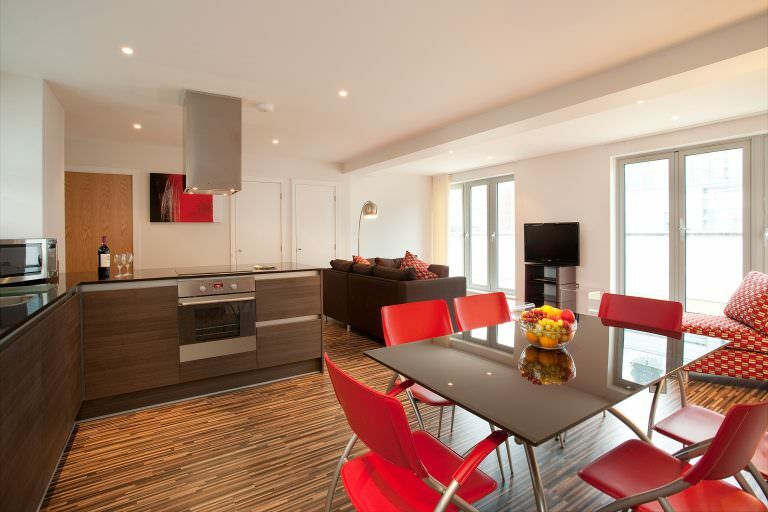 As suitable for families holidaying in the city, as for corporate clients on business, the stylish accommodation is furnished tastefully and complete with fully fitted kitchen. 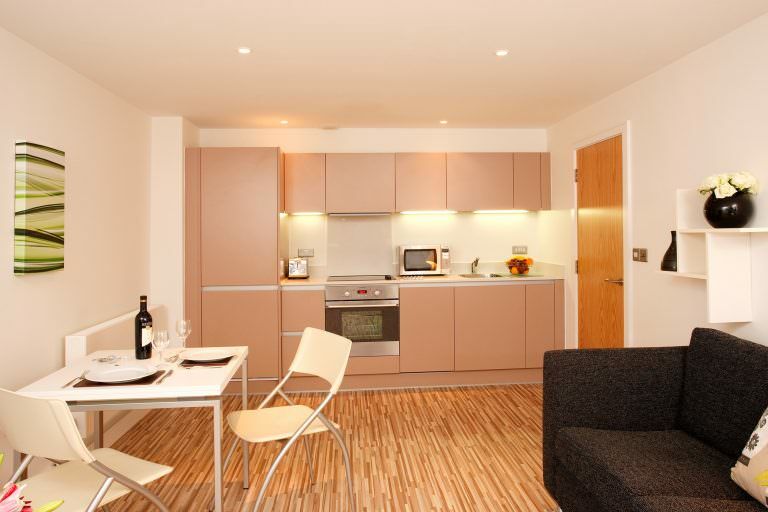 Additionally, for serviced apartments near Great Ormond Street Hospital (GOSH) you need look no further. 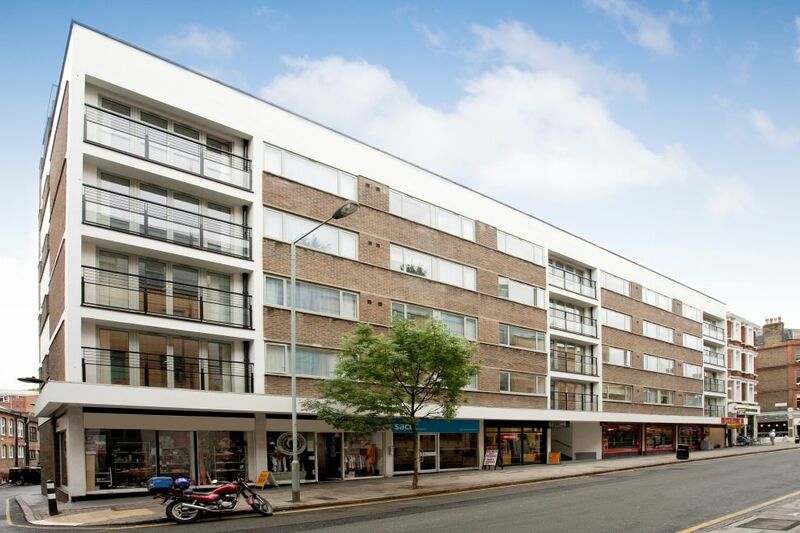 The SACO Holburn apartments are a two minute walk to the hospital, so the comfortable and spacious rental is ideal for medical stays and family accommodation, both for short term and long term. 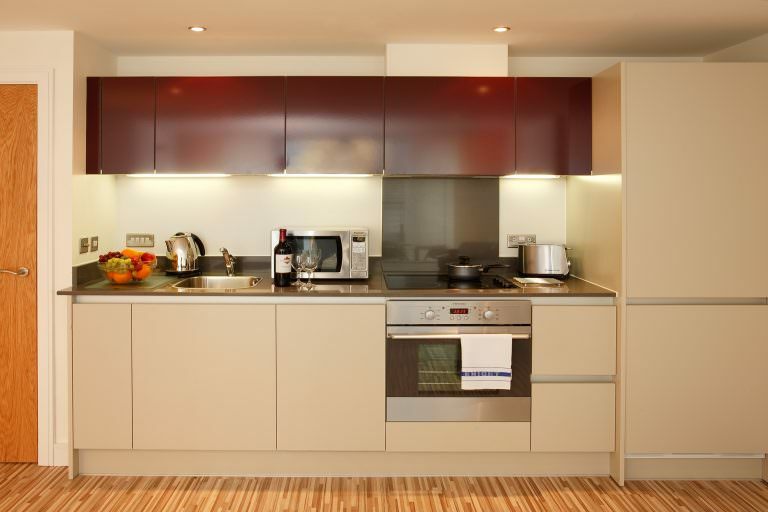 There is on site car parking, weekly housekeeping and lift access for added convenience. There is a vast amount of facilities and services provided as standard to ensure you have everything you could possibly require. 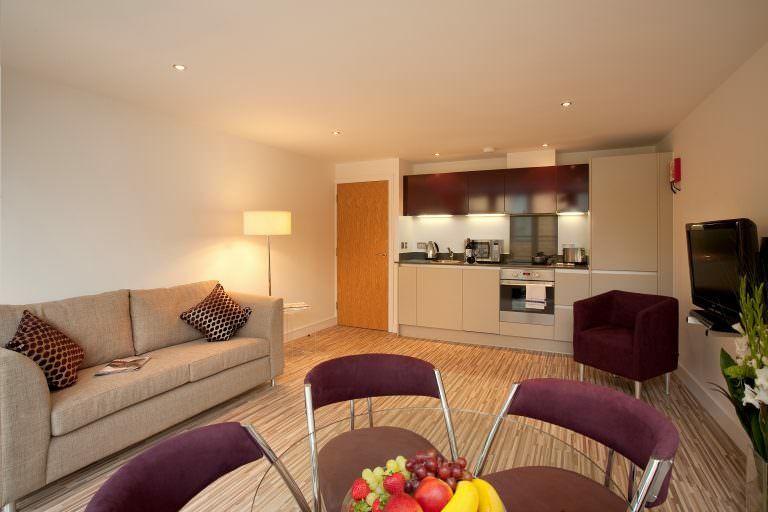 All entertainment needs are met with free WiFi, Sky Sports, iPod dock, flat screen TV & DVD. 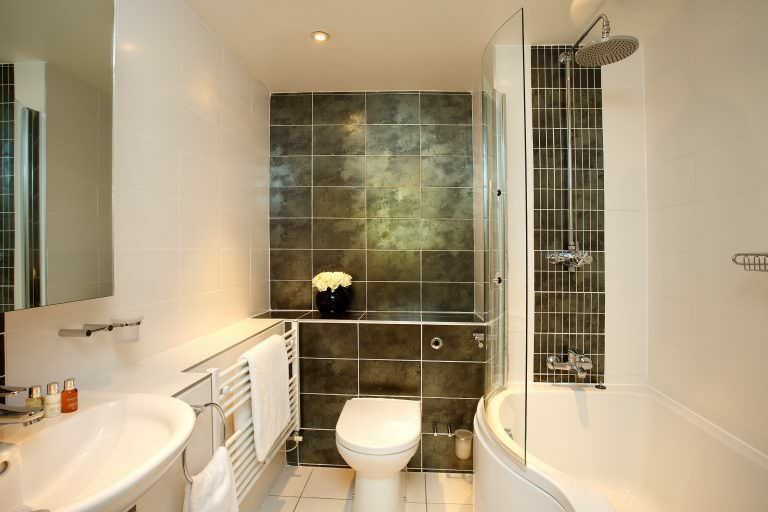 Plus with ironing facilities, hairdryer and lovely L'Occitane toiletries, you are sure to enjoy your stay.